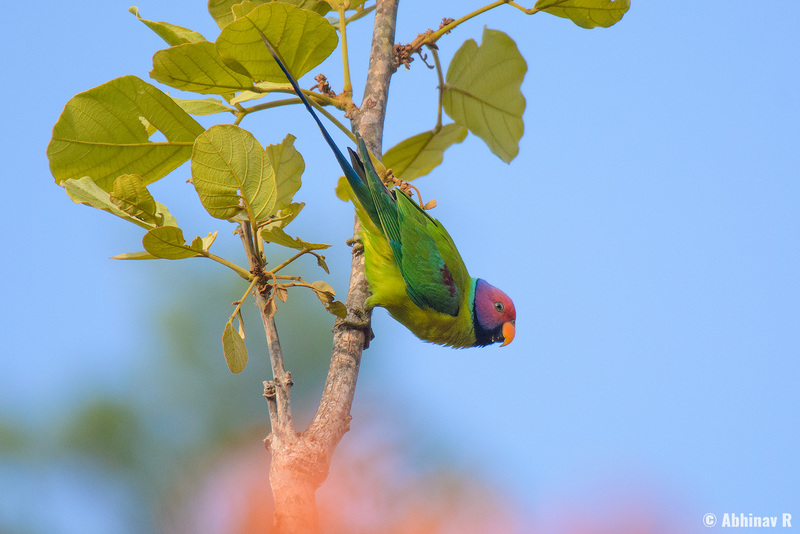 Plum-headed Parakeet is a species of Parrot found in the Indian subcontinent, towards the south of Himalayas. 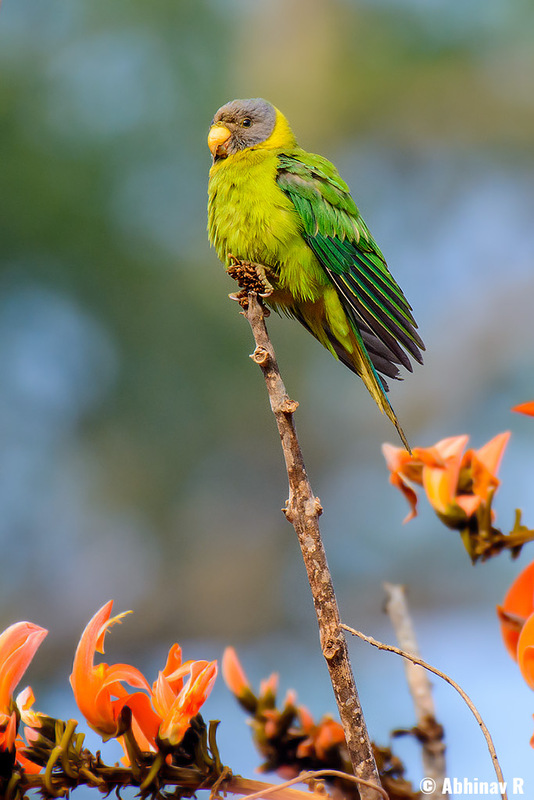 It is also one of the two parakeets found in Kerala. The other is Malabar Parakeet, which is endemic to the Western Ghats. Both the above photos are from Masinagudi. We could spot many parakeets around this tree with its orange flowers. In addition to Masinagudi, I could see this bird in other regions also including Thattekad. Male Plum-headed Parakeet has head plum-red in color. Plumage is light green with slight yellow tinge. There is a plum-red shoulder patch towards the base of the wing. The tail is blue in color with a white tip. Beaks are light orange and chin black. Female’s head is gray in color and beaks yellow. The reddish shoulder patch is also absent on female. Size is around 35 centimeters. This bird has a wide distribution in the Indian subcontinent. Found widely except for the Himalayas and deserts of the west. So it is a much larger area than the distribution of the Malabar Parakeet (Psittacula columboides). Commonly found in the forest sides with flowering plants and trees.